Sodium Sulphide is a co-product in the manufacture of Barium Carbonate. The solution of Sodium Sulphide obtained from the process is concentrated to 6-18% and is available at different percentages in tanker loads. 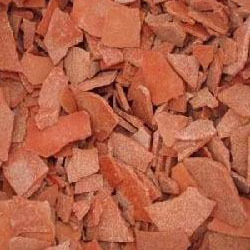 We are supplying Sodium Sulphide Flakes iron to all parts of India. We are currently supplying to some of the leading companies in India and we give assurance to deliver our products to clients destination within given time period. Used as Depilatory reagent and in pharmaceutical Industries. Used in obtaining the sulphur Black Dyes. Used in Engraving and also used as analytical reagent. Used for removing sulphur in viscous Rayon Industry. Used in Industries to remove heavy metals from waste water. Used in the manufacture of lubricating oils. Used in the production of polysulphide elastomers. Used in synthetic cooking liquor.